What is better proof of original thinking than creating the ultimate management metaphor? A shining example, for me, is the ‘black swan’. 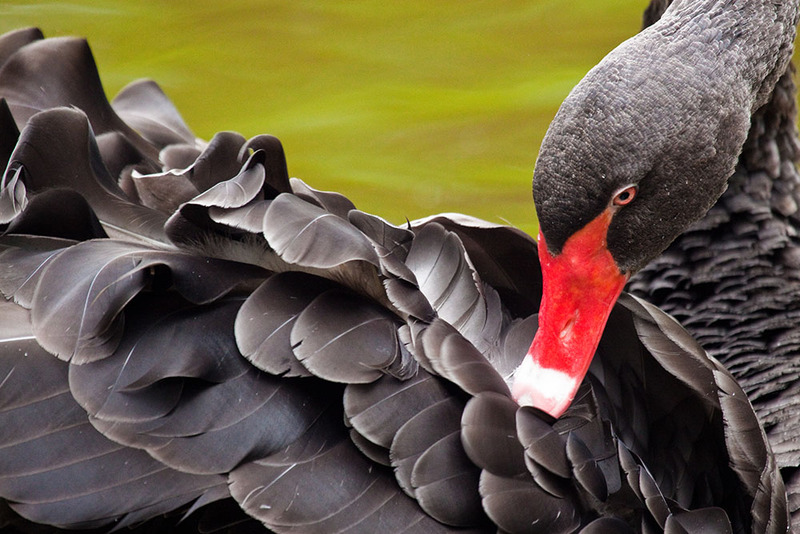 The black swan was introduced by Nassim Nicholas Taleb in his bestselling book1 of the same name. Up to about the year 1600, no European had ever seen a swan of any color other than white. White had thus become an inalienable attribute of the swan. When Westerners started to explore other parts of the world, they encountered the black swan; an indigenous animal in Australia. This was a huge shock. The hypothesis that white was an attribute of a swan had to be revised. Forced change causes pain; embedded beliefs have to be reviewed. After all, if you have never seen a black swan, you will forcefully deny that a black swan can exist. You rate such existence as highly improbable if not downright impossible. Here enters Taleb. He postulates that what we perceive to be highly improbable or even impossible – like seeing a black swan when you don’t know one exists – is much less improbable than our mind tells us it is. As so often happens, we fool ourselves. A black swan is not fundamentally unpredictable, it is only unpredictable when we allow our minds to be closed to the possibility. – Is, however, far less improbable than our mind makes us believe. – May have a high impact. The latter is only true because our past experiences do not offer us cues on this event being possible. Our mind has its limits. Human minds don’t naturally tend to question that our vivid experiences are the truth, the whole truth and nothing but the truth. What we see, however, is rarely all there is. The black swan is a blessing to me in my strategy work. It offers a metaphor-with-meaning for me to use to my management. It is now possible to make a statement like: our prediction of the Brent oil price for the next six to nine months is only valid when no black swan events happen. In such statement the words ‘black swan’ function as an understood and accepted disclaimer. The words show that in our forecast we indicate not to have included what is unimaginable to us. But they also hint that unimaginable things do exist. Hence the words ‘black swan’ convey the whole concept. By default we underestimate the probability of the occurrence of a high-impact event. This is not a problem as such but in strategy you have to be aware of it. It implies that there is just a bit more reason for caution than you might naturally think. Reflecting on black swans, it seems that behind every black swan hides a form of self-deception. Let us call this the silent assumption2. Silent assumptions not only relate to black swans, they may more broadly affect the quality of our logic. By implication they often also affect the quality of our (business) decision-making. Silent assumptions are generally the result of sloppy thinking. In the black swan metaphor it is easy to see what the silent assumption is. It is hard to assume that swans are any other colour than white when you have never seen one. The silent assumption thus is that ‘all swans are white’. In our mind the attribute of the white colour is unconsciously or silently added to the swan. But such silent assumptions can negatively affect everyday decision making. One rainy autumn night, she was invited to be a guest speaker at a gala dinner of the Dutch Association of the Chemical Industry in a plush banquet hall. She decided to drive her own car, which she had to park some distance away. Anticipating she would have to walk a fair distance, she decided to wear boots and an overcoat, carrying more elegant shoes in her bag. In business, and possibly in our personal lives, black swans will occasionally occur. We can’t question everything we know all the time and still make decisions. Silent assumptions, however, are avoidable. When we spot and tackle our silent assumptions by constantly asking ourselves the right open questions, we may even be better prepared when the occasional black swan does show up in our life at a time of its choosing! .1. Taleb, N.N. (2007), The Black Swan – the impact of the highly improbable, Allen Lane, London. .2. Acknowledgement to the writer Joris Luyendijk who pointed this out to me in a personal communication in early 2017.